Photograph: Michael J. Chen Jack Johnson performs at the Boston Calling Music Festival on May 23, 2014. 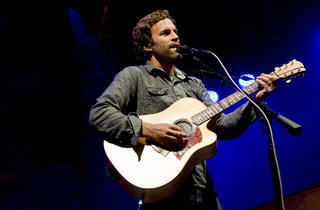 This chilled-out singer-songwriter kicks off the North American leg of his tour in Austin. You can expect lots of songs off his seventh studio album, "All the Lights Above It Too," which debuted in the top 5 on the Billboard 200 chart, but probably some beloved jams, too. Fruition opens.